Our team of talented interpreters can convert your oral communications into a target language to reach your desired audience. We provide both consecutive interpretation (in which the interpreter waits for the speaker to pause before converting the original message into the target language) and simultaneous interpretation (in which the interpreter converts the original message into the target language as the speaker is speaking, with just a slight delay). We can provide interpretation via telephone, video conferencing (Video Remote Interpretation) or on-site. We provide interpretation in more than 100 foreign languages as well as American Sign Language for individuals with hearing and/or speech disabilities. The Americans with Disabilities Act (ADA) requires Title II entities (state and local governments) and Title III entities (businesses and nonprofit organizations that serve the public) to provide equal communication services to those who have disabilities, so they can communicate as effectively as those without disabilities. 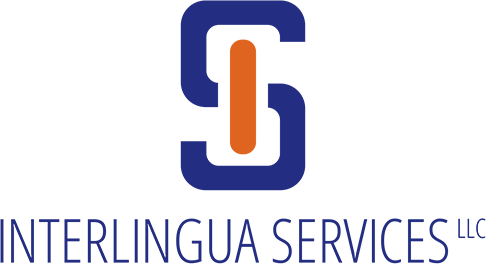 Interlingua Services provides conference interpretation, where we supply interpreters as well as special equipment required for interpreting in simultaneous mode. We provide PA systems, transmitters, microphones, sound-proof booths, etc. to facilitate the distribution of oral messages, converted from a source language into a target language by an interpreter, to their intended audience. We can translate your written communications, including legal and medical documents, forms, websites, marketing materials or any other kind of written material from any industry, into a target language. Need to convert audio or audio-visual material into a written document? We can transcribe any material from a source language to a target language. Our language specialists can provide subtitling in your desired target language for visual presentations, including video conferencing, video productions and slide shows. Thanks to our reputation for outstanding linguistic skills, we have developed a network of hundreds of linguists who are ready to help you reach your intended audience. From frequent requests such as Spanish, Western European, Asian and Middle Eastern languages to uncommon dialects such as Fijian and Pahari, we can help you “Speak World.” Take a look at our complete list of languages and dialects. Click here to request our services and for further information.